The month of Heshvan that has no holidays comes after Tishrei – Libra that is mostly holidays. This month is known in many writings as Mar-Heshvan (The bitter Heshvan) because of the lack of holidays and because of the disasters that happened on this month such as the great flood, the split of Solomon’s Kingdom (some 3,000 years ago), the crash of the New York stock market (1929) and the crash of Israel’s banks (1983). As stated in previous articles, Sefer Yetsira (The Book of Formation) – attributed to Abraham the Patriarch – tells us that the 22 Hebrew letters are the building blocks of the Universe. Meaning, the letters represent spiritual frequencies which created our Universe. 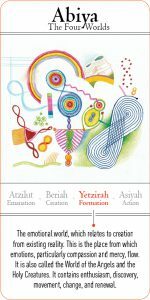 Sefer Yetsira teaches us that the 22 frequencies, represented by the 22 Hebrew letters, are tools used for transferring spiritual abundance. According to Kabbalah each month is ruled by two Hebrew letters; one letter rules the planet that dominates the sign and the other rules the astrological sign of the month. Heshvan’s planet is Mars and is ruled by the letter ד (Dalet). Its astrological sign is Scorpio, which is ruled by the letter נ (Noun). The combination of those letters – דן (Dan – the root of the word Din – Judgment) teaches about the essence of the month. The name of the letter Dalet comes from Dalut (poverty in Hebrew) and lack, and the one who feels that way will always be ready for a fight. These people will always have the hunger for power and for achievements, very motivated to succeed cold blooded warriors with a tendency toward cruelty. Those qualities give the Scorpio’s their creativity, passion and magnetic presence that could not be ignored. The letter ד controls both Aries and Scorpio, however, it influences them differently. The Zohar says that Aries represents a “Hell of Fire” while Scorpio is a “Hell of Ice”. Meaning that while Aries will be full of rage when someone upsets them and then they will forget the whole thing; the Scorpio will react with a cold temper. They will sever the relationships, ignore them and actually freeze them for eternity (“for me he is dead”). According to Kabbalah the letter נ indicates for downfall (the crash of the stock markets). Indeed, the Scorpios tend to get into states of downfall, destruction and devastation. While doing so the emotional pain could be so strong that they could have suicidal tendencies. That happens because of their powerful intensity that comes to fruition in everything they do, when they focus on something they go all the way with it. That is why when they focus on “darkness” there is no place for any light or hope. On the other hand, the Scorpios are known for their ability to renew themselves no matter how strong they were hit, professionally or personally, they have tremendous strength to get up from the racks and start over with the same intensity as before. According to Kabbalah the four seasons of the year correspond to the four letters in the holy name – the Tetragrammaton – יהו”ה. Each letter relates to a different Sefira and element. The third letter (ו) represents the Fall (Libra, Scorpio, Sagittarius) and the Air element that represents the intellect, and indeed we can see tremendous influence of this element on the first and the third signs of the season – Libra and Sagittarius – which are constantly occupied in thoughts and less with what they feel, their emotions. The Scorpios, however, being a water sign, are very much connected to their emotions. On the other hand, there is also a great influence of the fire element (being related to Mars) and since it is the second sign of the Fall – each season is combined of three signs and they always being dominated by the same elements: the first one – Water, the second – Fire, the third – Air) which indicates a selfish character and very strong urges and desires. All of the above strongly influence the Scorpios and that creates a very complicated emotional and intellectual world that is difficult to understand by the other signs. The influence of the Air element also makes justice as a very important quality within the Scorpios. Whenever they run into injustice they will react emotionally (Water). Meaning, they should be careful since they could easily fall into rage and vengeance and let those feelings control them. The Scorpios, dominated by the water element, are also characterized with obsessive sharing with a clear purpose – controlling others; that has a very high price. Such sharing is considered as a spiritual crime (Idol Worshiping), since the moment we share with the intention of getting something in return and not with the intention of “love thy neighbor as thyself”, we break the first of The Ten Utterances (Known by mistake as The Ten Commandments) – “I am the LORD thy God”. That kind of sharing is actually idolatry, since the moment we make the person we just helped (his reaction) as the reason and the cause for the way we feel we actually put another God before the Creator. So what is the secret of Heshvan? One of the most amazing stories in the Zohar is the vision of Rabbi Hiya that was one of Rabbi Shimon Bar Yohai’s students and closest friends. Since he had a great difficulty accepting the departure of Rabbi Shimon he fasted for 80 days and then he was allowed to enter the upper worlds and to meet Rabbi Shimon. However, when all the Tsadikim saw him they were all alarmed, since they knew he was mortal, and then they told him that in the upper worlds there is room only for those who managed to turn darkness into light and turn what is bitter (Mar) to be sweet. That is actually the essence of life and that explains why the great sages named Heshvan as Mar-Heshvan. After we were flooded with spiritual energies through all of Tishrei holidays it is time to start our daily work. On Heshvan we run into all the tendencies and problems that we have not fix (Tikun – correction) on Tishrei. The downfall into the bitterness that will accompany us during the whole year, facing are shortcomings, is not pleasant. However, every time we deal with it, this is another gate we can pass through and toward victory and completeness. That is why during Heshvan we can achieve and accomplish much more than in any other time of the year. The urgency and hunger for victory and achievements is extremely big… so let start working!!! 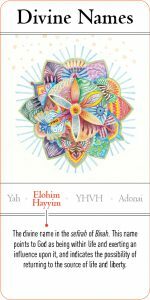 To listen to the lecture on Heshvan and other months, enter the Live Kabbalah University.